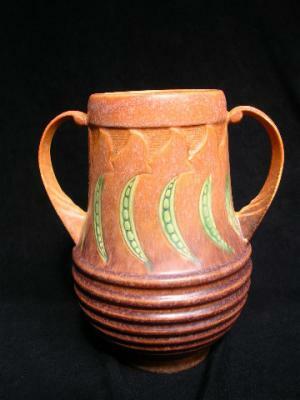 Beautiful two-handled Roseville Falline Vase 9 inches tall. This piece is in mint condition and has wonderful color plus a very strong mold. This would add to any collection. There is no mark because it had a paper label originally.